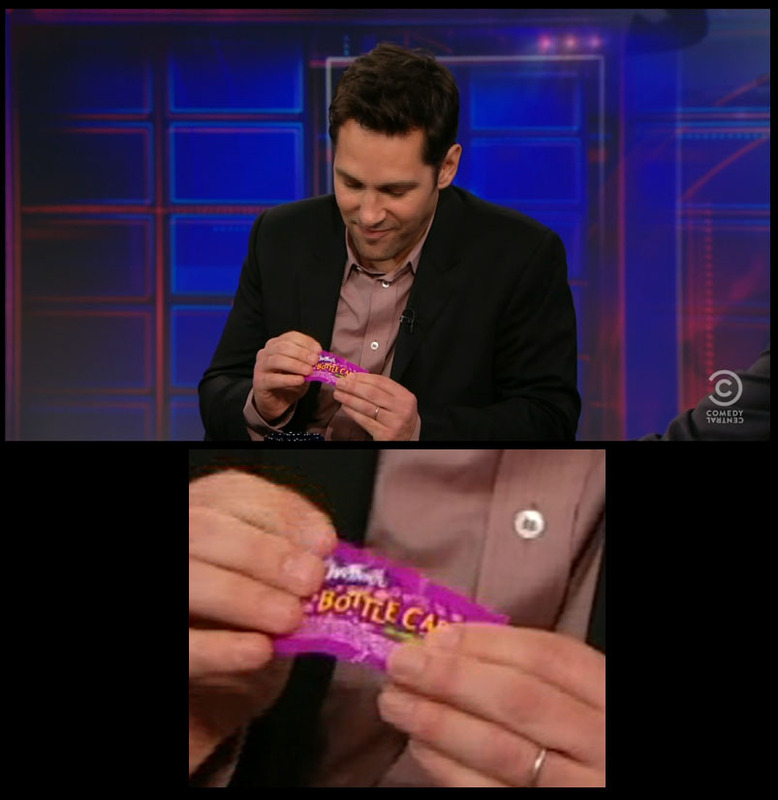 ← Paul Rudd talking vintage candy with Jon Stewart today! 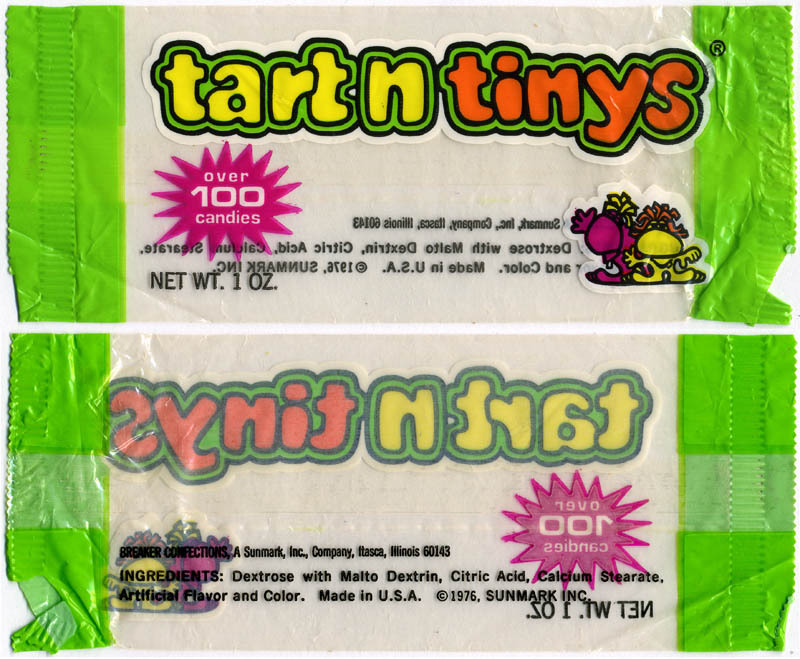 Tart ‘n Tinys – Because Paul Rudd demanded it. On Thursday night, Paul Rudd appeared on The Daily Show with Jon Stewart promoting his new film, Wunderlust. During that interview they ventured onto the topic of vintage candy. Vintage candy is something that just doesn’t come up on national television, so you can imagine my delight in witnessing these two entertainers, both of whom I respect and whose work I enjoy, apply their banter to my confectionery wheelhouse. 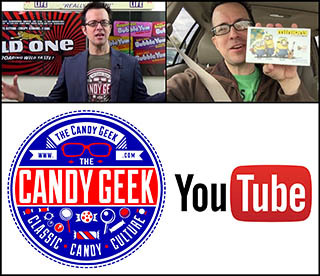 CollectingCandy.com is all about celebrating these brands, so I thought I’d take a lead (and Paul Rudd’s subconscious demands) from the show, and make Tart ‘n Tinys the topic of today’s post. My research tells me that Tart ‘n Tinys were first introduced to market in 1969 – coincidentally the same year Paul Rudd and this writer were born. Back then, Tart n Tiny candies were small pellet-like bits sort of shaped like a pencil eraser, and were much like a Sweettart in flavor and texture. 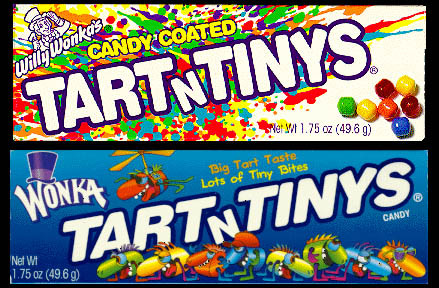 At some point during the 1990’s, Tart ‘n Tinys began to be offered with a candy-coating. A chewy version was also introduced in this period. Eventually, the candy-coated variety, along with the chewy, would be the only Tart n Tiny versions offered. 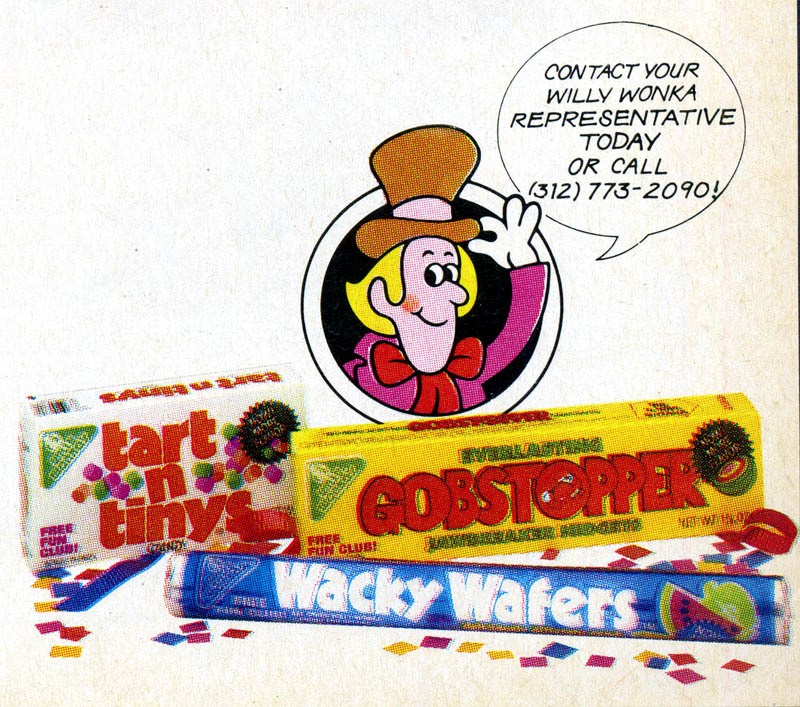 Sadly, Tart ‘n Tinys were pulled out of the Wonka rotation in 2009 or 2010 and are no longer available. They were a great candy that remained on the market for four decades, which is a successful run in the confectionery world. Though Paul Rudd may not have ever demanded this look at Tart ‘n Tinys, we’d like to think he’d appreciate it, if he ever did come across it. Come back tomorrow for our Oscar night entry dedicated to Hollywood and the movie biz! This entry was posted in 1970's. Bookmark the permalink. 5 Responses to Tart ‘n Tinys – Because Paul Rudd demanded it. I have been enjoying your site on vintage candy and today’s was interesting like previous days. The one thing I noticed in the article today was the Tart ‘n Tiny Flying Saucer. This reminds me of the candy I bought back in the 1970s called U.F.O. Candy. I would love to see an article about that candy. A few years ago I found one of the containers that I had saved from back then. The cool thing was the UFO facts in it. The one I have is #4 of 12 and is about the Purple Flasher. Frank: Thanks for the kind words. You’re spot-on. Not only is the Tart ‘n Tinys Flying Saucer reminiscent of U.F.O. Candy, but there are many direct linkages: Breaker Confections made U.F.O. candy, and they also happen to be the folks who made Tart ‘n Tinys. The candy that came in the U.F.O. 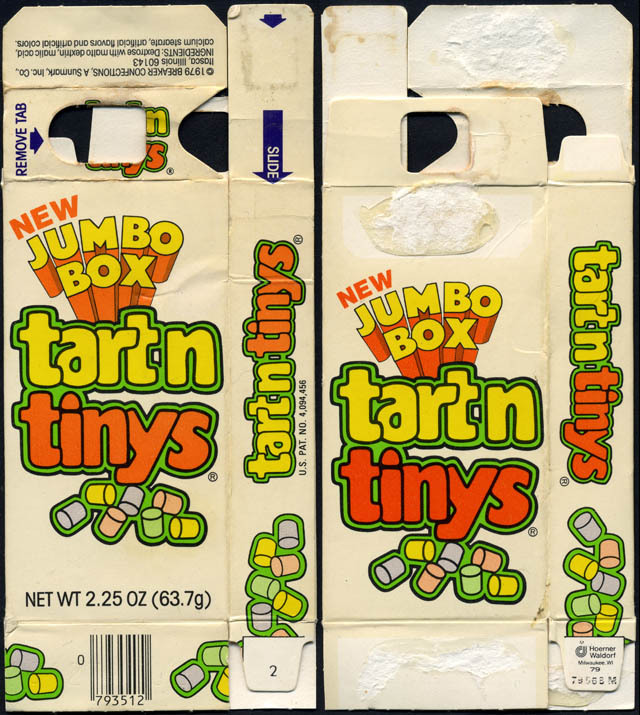 containers were very similar to what the candy-coated Tart ‘n Tinys ended up being. 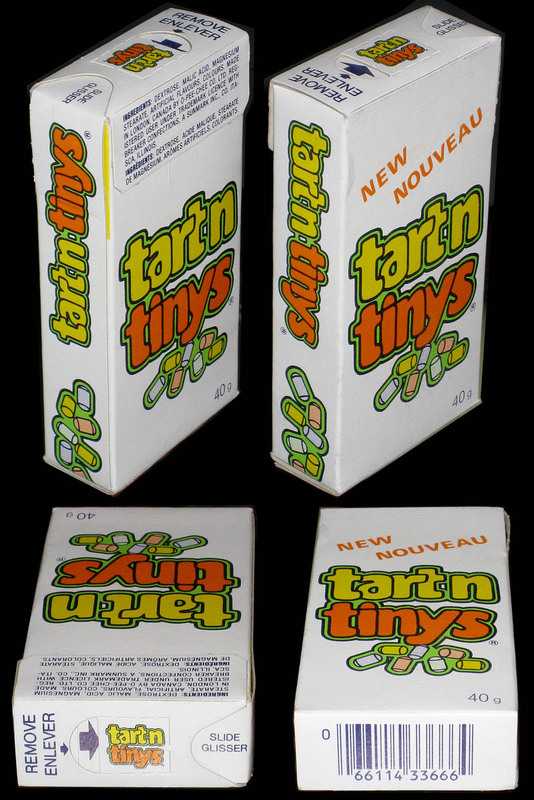 I’d completely forgotten about Tart ‘n Tinys until I saw that 1979 box. They were a staple of my candy purchases. One of the qualities that attracted me to a candy was how long it would last. You could drag out a box of Tart and Tinys the entire weekend by eating them one at a time. 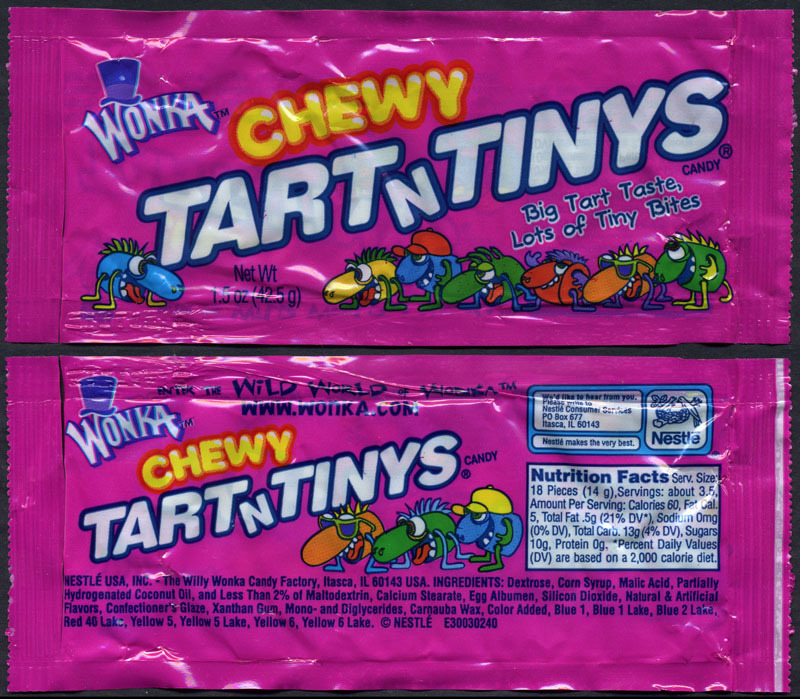 Tart and Tinys were my absolute favorite candy! I have looked for them in candy stores for years. I do not like the chewys or the candy coated versions. Fond childhood memories include going to the conventient store after church on sunday; my dad would get his sunday paper and Id get an icee and tart and tinys!